This conference is for all people, everywhere in the world, to join together in worship of Jesus Christ. That worship will include singing, partaking of the sacrament, listening to speakers, and socializing. Much has been said about the possibility of a new covenant being offered. We are preparing ourselves, and this conference, in faith that this will be the case, however, this will be left to the Lord to offer according to his will. The conference will be held in Boise, Idaho. All are invited to participate as they feel inspired. Because of travel, venue limitations, and family obligations, we understand that many who want to participate may not be able to attend live. For all those who wish to participate but who cannot attend live, we will be offering a live video and audio feed as noted on the schedule. This will be provided free of charge for all people, everywhere in the world. Full details about live video and audio participation will be posted shortly before the conference. Please note that this website offers information about the conference according to the best information we have available. Details are subject to change. Please check the site often for updates or changes as we get closer to the conference. We hope that this conference will include the opportunity to sustain the scriptures project announced in St. George. A paper titled “Scripture, Prophecy and Covenant” written by Denver Snuffer is available in the downloads section of his website. It is a brief exposition on accepting scripture as covenant. 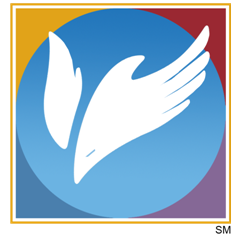 For more information on the scriptures project, click here. About the Weekend: Because we recognize many people will travel from all over to gather for the conference, we’ve included several optional, social activities for attendees to fellowship, socialize, and get to know other like-minded people. The actual conference meetings will be held Saturday at 1:00 pm and Sunday at 9:00 am. They will include music, speakers, and sacrament. Please feel free to attend as many, or as few of the activities as you choose. The purpose of this conference is twofold, to hear the word of the Lord, and also to provide an opportunity to fellowship with each other. Please attend the activities that will be most valuable to you. 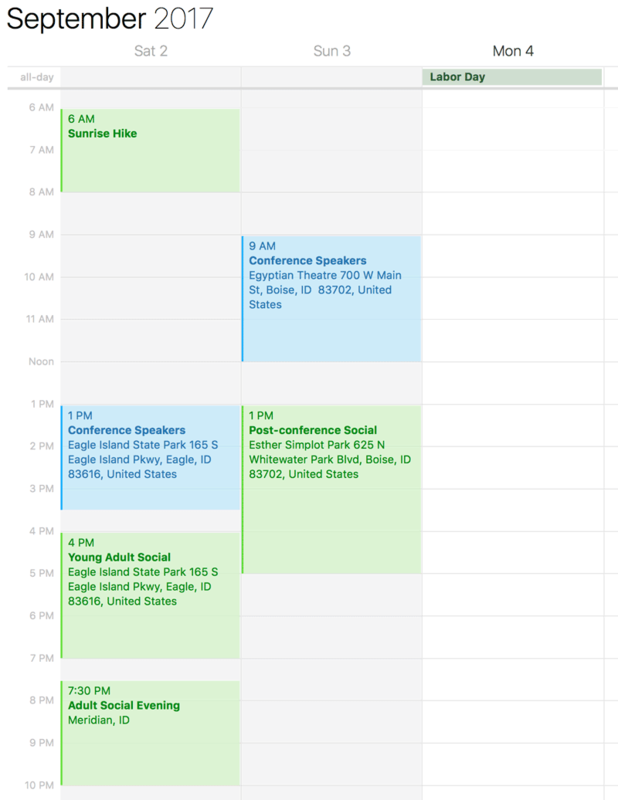 Events in in blue are official conference activities and in green are optional social-focused activities, The schedule is subject to change. All Activities at Eagle Island State Park, Eagle Idaho, unless otherwise noted. The three main locations will be Eagle Island State Park, the Egyptian Theatre, and Esther Simplot Park. Each of the locations has been selected because of specific features that will be used for activities. This includes pavilions for shade, playgrounds for children, swimming for youth, river access for baptisms, a theatre for speakers, etc. The different venues provide a nice variety of settings for the conference activities. 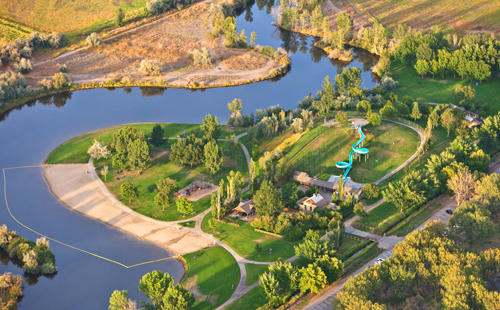 Similar to the 2016 Boise Conference, some events will be held at Eagle Island State Park in Eagle, ID. The schedule details will be forthcoming. 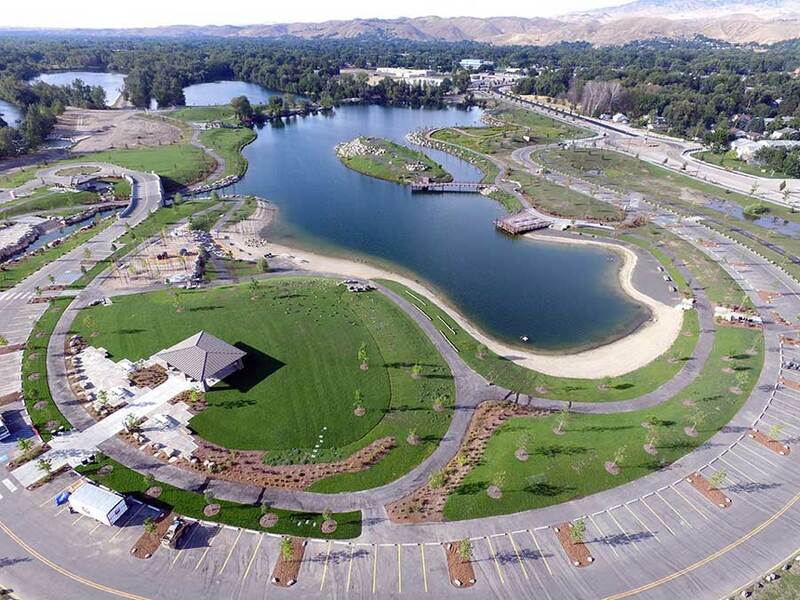 The park features include: multi-use trails, non-motorized boats only, swimming, fishing, volleyball courts, disc golf course, horseshoe pits, waterslide, and several pavilions. There is a $5 day-use fee (per car) for park entrance and parking. 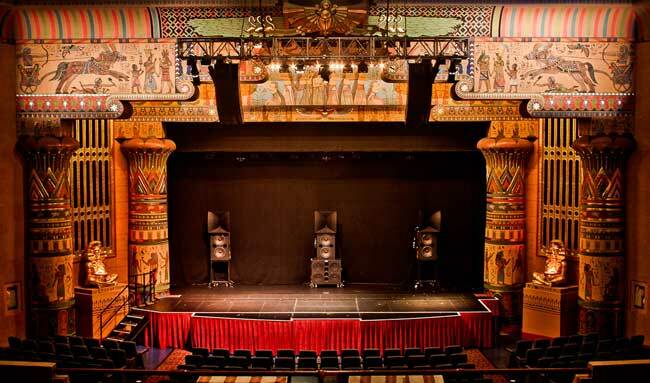 The Egyptian Theater is one of Boise Idaho's most cherished historical landmarks. The theater will provide the perfect acoustical venue to broadcast the Sunday morning conference meeting live. The theater comfortably accommodates 744 people and we hope that the indoor venue will provide a quiet and private setting for the conference proceedings. We realize that smaller children may have a hard time sitting quietly through an indoor three-hour meeting. We also realize that the small theater lobby area will not be an appropriate play area for restless children to play as it is not very big and the doors to the theater face a busy downtown street. Therefore, we encourage parents to plan accordingly. We are very preliminarily looking into childcare options for children who are not able to sit quietly through the meeting, but we cannot promise that our efforts will materialize into provided care. We hope that each family will carefully consider how to best help their children and the other conference attendees have the most spiritually uplifting and divinely inspired experience possible. NOTE: None of the venues will allow for glass bottles of any kind. Please do not bring glass to any of the activities. Conference activities and events will be free of charge. Attendees should be prepared to pay for normal expenses, such as traveling costs, housing costs, meal costs and parking fees for the time that they are traveling, however, there will be no charge for admission to any of the events. Please note that there is a $5 vehicle charge for entering Eagle Island State Park, and there may be charges for parking downtown on Sunday. While there are significant costs associated with putting on a large event like this, we are doing our best to cover those costs as a local fellowship. We are also doing all we can to assure that anyone who cannot afford to participate in person can participate remotely. Look for additional information about the live video and audio options for the main conference events. We are also excited to announce that preparations are in place for a live video broadcast of the appropriate conference events. Check the schedule for information about which events will be available. Our highest priority will be the Sunday meeting, with additional meetings broadcast as technology permits. This will allow for all people, anywhere in the world, to participate live online. More details concerning how to participate via the live feed will be posted and available on this website closer to the conference dates. There are a number of hotels in the Boise/Meridian area. They are mainly located along the I-84 or I-184 corridors. Any of these hotels will put you within about 20 minutes of ALL conference venues. Keep in mind that there is a Boise State University football game scheduled for Labor Day weekend, so downtown hotels will fill up as we get closer to the conference. 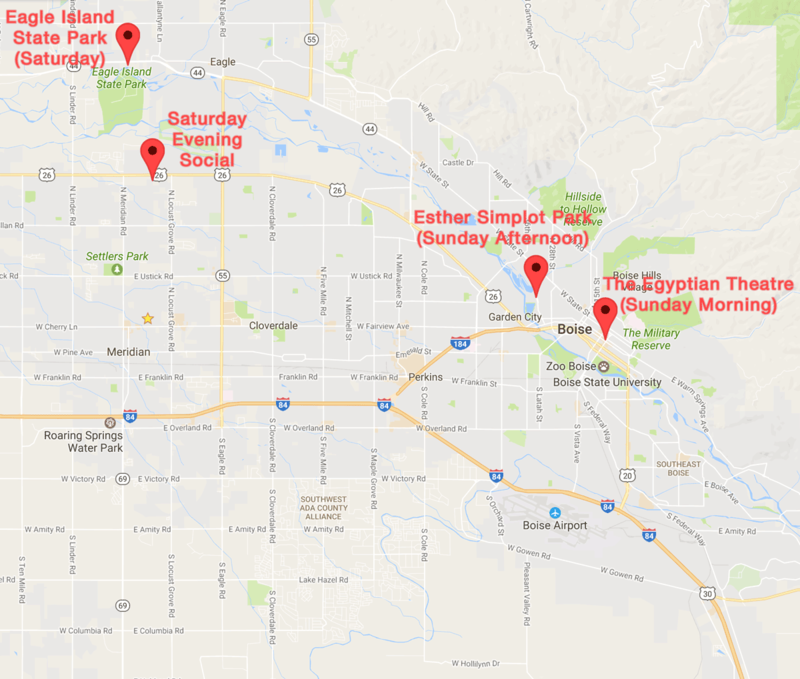 RV Parks provide a much more cost-efficient travel option, but they will fill up quickly, seeing as how the conference is over Labor Day weekend. Thanks for your patience as we work hard to make this exciting and important conference one to remember. We’re doing our best to make this conference one the Lord will be pleased with and we recognize His hand in all things good that come from this upcoming conference. Please be patient as we work through this planning process. More updates will be posted to this site as they become available.